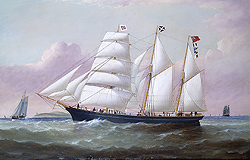 William Yorke was a Liverpool ship portraitist working during the 19th and early 20th century. 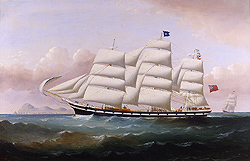 The first recorded painting by Yorke is of the "Benares" and is dated 1858. Little is known of Yorke's training, but it must be assumed that it was quite extensive as Yorke did become an accomplished and highly sought after artist. 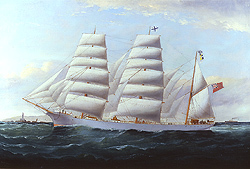 [Yorke] paid great attention to his rendering of sea and sky as well as the accurate detailing of the ship. It was this rare ability that produced many commissions for Yorke.